TACT Marks 10 Years With a New Website! 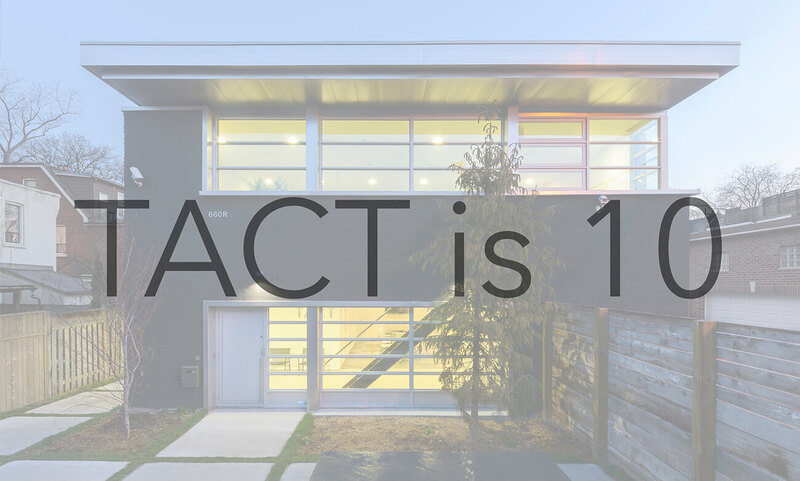 With over 200 projects completed since its inception in 2007, TACT celebrates 10 years with the launch of their new website! The site features numerous recently completed projects with new photographs as well as new images of work currently on the boards in the studio. Designed by Guidelines Advertising, the site is analogous to TACT’s approach to design: clean, efficient, elegant, and to the point! Newer Post TACT Architecture rebrands Dymon Storage for the GTA	Older Post Cottage Life: Flip Flops In the Snow!